Today we are going to discuss the main problems and issues occurs in most popular tablets Amazon's Kindle Fire and Apple's iPad 2. Whenever a person goes for shopping to buy a product they always search for products drawbacks, problems, issues and disadvantages on web so that they can justify which product is good for them. Amazon's Kindle Fire and Apple's iPad 2 are today’s most top rated and popular tablet gadgets of users and it seems they do have some issues and problems which has to be discussed and provide the solution to its users. Today we are going to discuss the screen size and resolution, processor speed, battery life, software, hardware etc Main Problems and Issues In Kindle Fire and iPad 2. 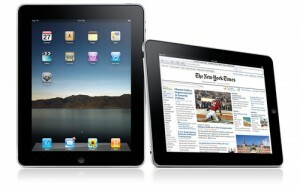 Product Q&A website FixYa has revealed the top consumer complaints with the iPad 2 and Kindle Fire. Overall, Kindle Fire owners had a longer list of frustrations than owners of iPad 2 devices. For Kindle Fire owners, the top issue is the lack of security inherent in the device’s one-click shopping system; for iPad owners, Wi-Fi connections. Some of those frustrations were identical: Users of both tablets say they have trouble securing Wi-Fi connections and getting their computers to recognize their devices when connected via USB, for instance. Following are the Top Five Issues and Problems of iPad 2 from consumer complains. Wi-Fi Connection Issues (35%): Some iPad 2 owners complain that they are unable to connect to the Internet via Wi-Fi or that they are soon booted off after they log in. LED Display Issues (15%): Some users complain of splotchy light patches in the corners and on the edges of their screens when their screens display dark graphics or pages. Microphone Quality (15%): Some iPad 2 owners are dissatisfied with the tablet’s audio recording capabilities. USB Issues (10%): Some users have trouble getting their computers to recognize their iPad 2s after connecting them via USB. Other Screen Issues (10%): Owners have reported a number of other screen-related issues, including screen freezes and touchscreen inaccuracy. Following are the Top Five Issues and Problems of Kindle Fire from consumer complains. Can’t Turn Off One-Click Shopping (30%): The Kindle Fire allows users to store their credit card information to make automatic purchases. Although convenient, this creates security issues for some consumers, if, for example, their children make accidental purchases, or if their devices were stolen. Amazon says it’s working to address this issue. Wi-Fi Connection Issues (25%): Many users complain of poor Wi-Fi connections and sudden disconnects. FixYa found that updating the Kindle Fire’s software to the latest version solves the issues in 30% of cases, however. No Parental Settings (15%): A problem for Kindle Fire owners who share their tablets with their families and are worried about children’s access to uncensored web content. Touchscreen Precision (15%): Similar to the iPad 2, some users complain of touchscreen inaccuracy. USB Issues As with the iPad 2: some users have trouble getting their computers to recognize their Kindle Fires after connecting them via USB.